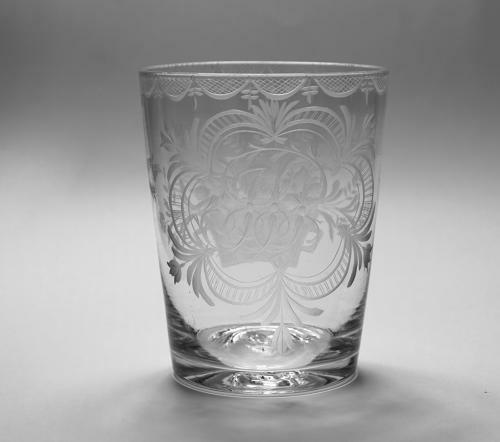 Large floral engraved tumbler with a monogram engraved within an decorative floral cartouche. The reverse engraved a basket of flowers, two birds in flight and a border of hatched festoons. English C1800. Note: The monogram is quite elaborate and difficult to interpret but could be JH.